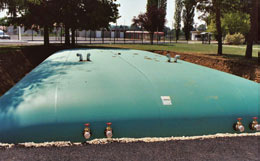 Pronal flexible tanks provide an excellent solution to liquid storage and transporting challenges. Available in capacities up to 1000m3, the technology is simple, quick to deploy and cost-effective. Pronal offers several product ranges for air, sea and ground storage and for transportation of fluids in addition to water. These include hydrocarbons, foodstuffs and agricultural and industrial products and waste. 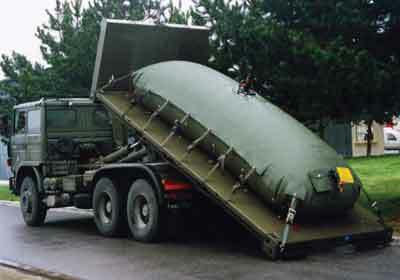 Thousands of uses extend from buffer water tanks for civil and military potabilisation systems, through to fuel tanks for electricity generators on construction sites. The design ensures liquids stored are never in contact with air. This permits safe storage of liquids such as paint, latex, fruit juice, emulsions and fuels. In addition, Pronal supplies all complementary products used in fuel logistics, including pumps, guns and filtering systems. 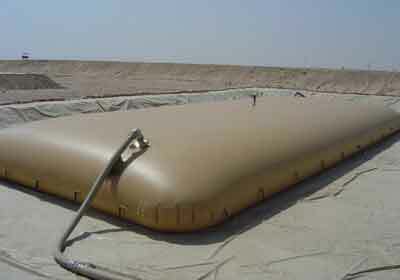 The quality and durability of Pronal water tank technology is relied upon by industrial, civil and military organisations around the world, including in remote, inhospitable and emergency situations.